The joy of doing this is discovering wines you didn’t even know existed. This will continuously be a lifelong journey with no end in sight. And as daunting as that may sound on the surface, that’s exactly how it should be. Unless there is some magical ending, there should never be a final resting place. Well unless it’s a with a fabled bottle of vino! 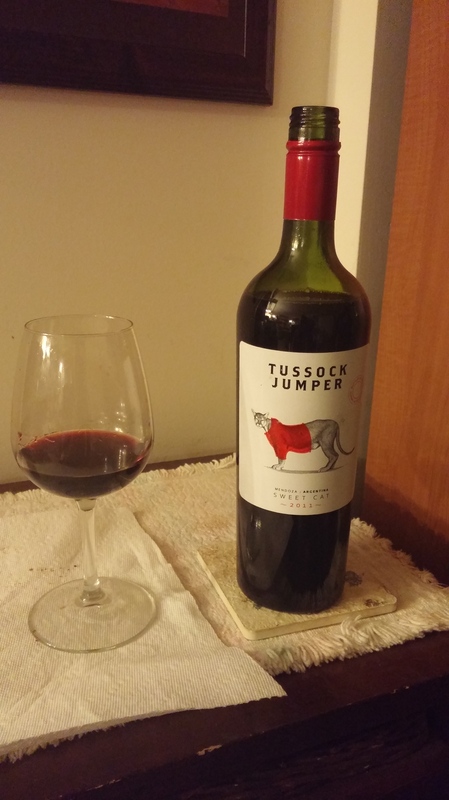 This brings me to the wines from Tussock Jumper. Until a few days ago, they were nowhere on my radar. I love uncovering something new. The simple reason I saw drawn to the bottle is because of the cat on the label. In addition to that, there was a plastic baggie with a collectors item attached at the top of it. 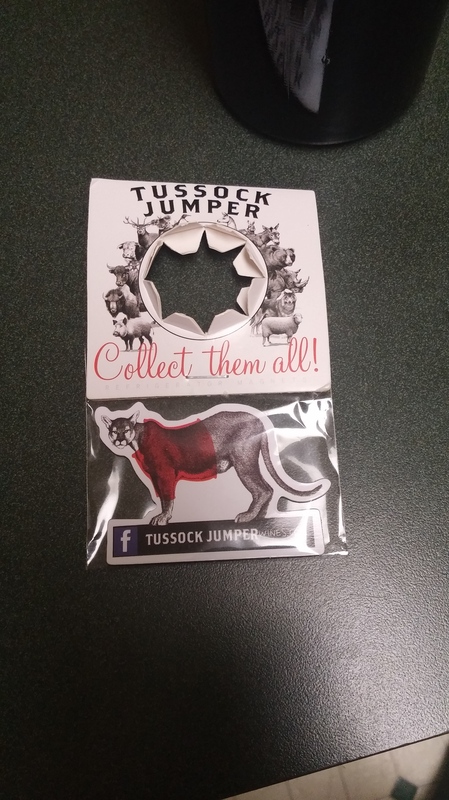 Upon further investigation I saw it was a refrigerator magnet. Without any hesitation I bought this bottle with little regard to the type of wine it was. They sold me. I was in the South American wines section of the shop, so it was most likely Malbec or something similar. But I was blinded by the animal! Along with animals, wine is one of my real joys in life. And a combination of a beautiful creature pictured on a bottle will usually get me every time. Well done. 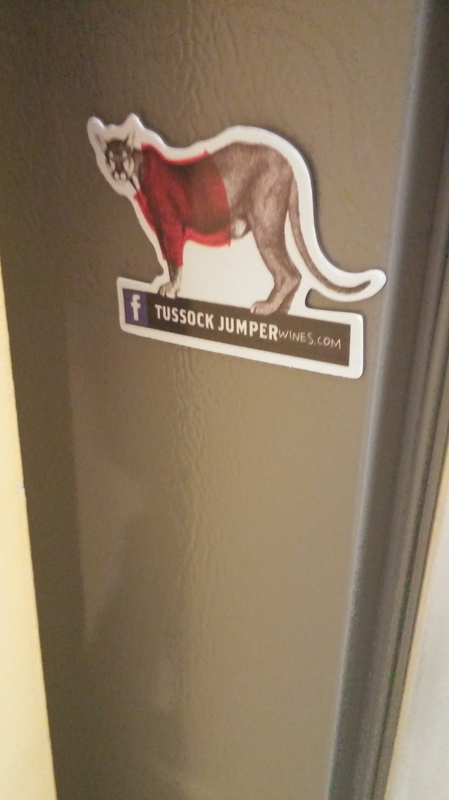 The magnet is now hanging gloriously on the refrigerator along with all its other magnet pals. And without belaboring the point, how was my sipping experience? Well I only thought the wine was ok. I gave it a few minutes to breathe and it started to improve with time. But it never really got anywhere. The label mentions aromas and flavors of berries, fruits, and chocolates. So I will assume blackberry will be notated a lot. It did have that jammy flavor with maybe some cocoa if I didn’t think so much about it. But nothing came of this for me. 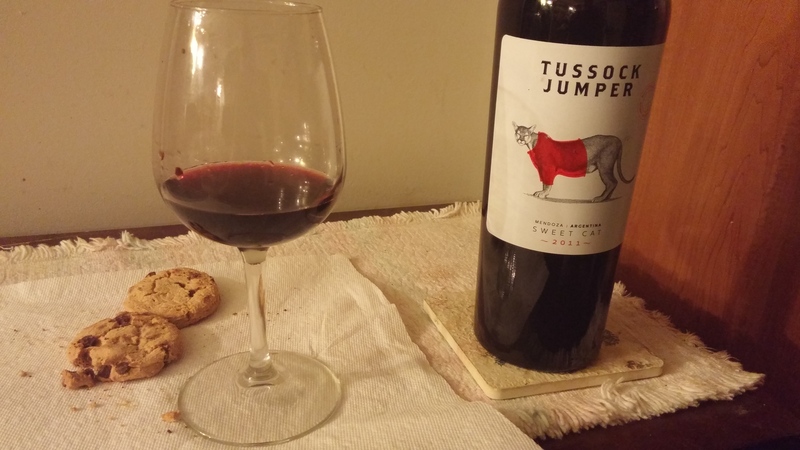 In honor of National Chocolate Chip Cookie Day yesterday, I hoped to heighten the wine with a piece of cookie or two, and sadly that did not happen. On a warm Summer’s day this would be ok to drink. It’s more medium bodied, with it’s combination of Malbec an Shiraz, which can usually be good. But not here. I did notice on their wine list, that this varietal is not even listed. Could it be I’m not the only one that wasn’t floored by the Mendoza? Or maybe it just wasn’t a huge hit? However, there’s so much to love about their website. They have a different animal representing each of their wines. And it’s also laid out by country. It’s broken down by recipe, food pairings, grape synopsis, and the vineyards. You can’t get much more user-friendly than that. And their tasting guide breaking down the full to light bodied choices, from red to white is magnificent. Here’s where you can find their wines. I’m intrigued. Even though this bottle was disappointing, I will need to do some poking around. This could become quite the adventure. The concept is great and I expect many of the wines will turn out the same.